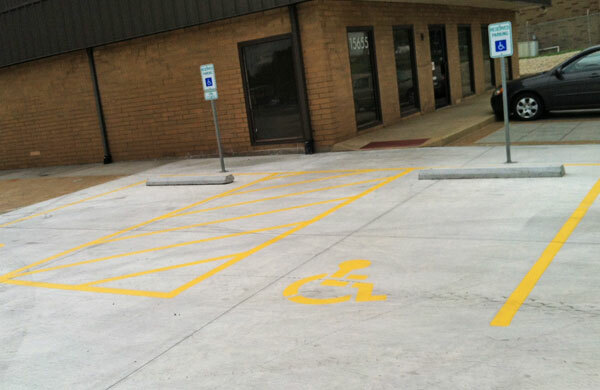 K&G Striping, Inc. provides Wheel Stop supply and installation for new construction parking lots for contractors in the Kansas City, Missouri area. The wheel stops come in a variety of sizes, material and colors. Please contact us to learn more about how K & G Striping can help you with our wheel stop supply and installation services. Please give us a call today at 816-741-3339.